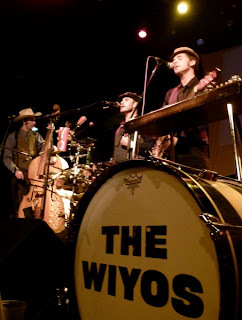 KXCI On The Air: The Wiyos - Studio 2A & KXCI Presents! Tune in for a live performance from The Wiyos this Friday September 7th at 3:30pm on The Home Stretch. Rising stars in the forward-looking branch of the old-timey Americana scene, The Wiyos seamlessly meld new with the old, masterfully embodying the performance styles of the 1920's and 1930's while approaching touring life with the attitude of the rock and punk music they grew up with. KXCI Presents! the inaugural show of Rhythm & Roots 2012 fall season, with the first ever Tucson appearance by The Wiyos this Friday, Sept 7th at 8pm, at Plaza Palomino Suite 147.